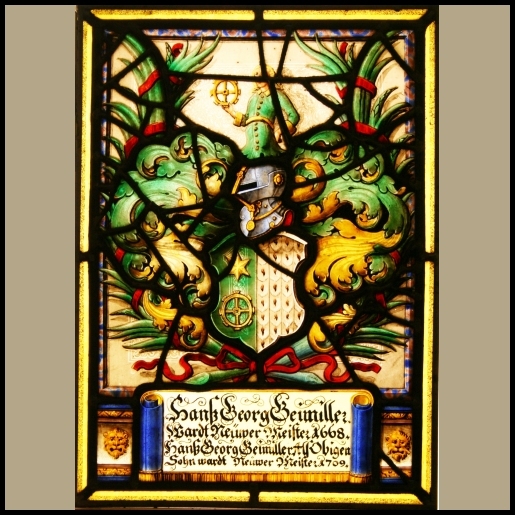 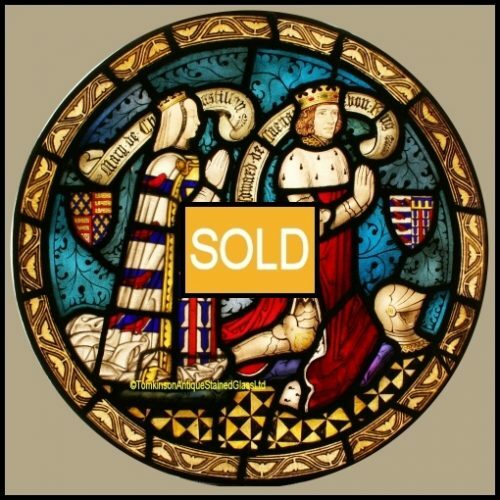 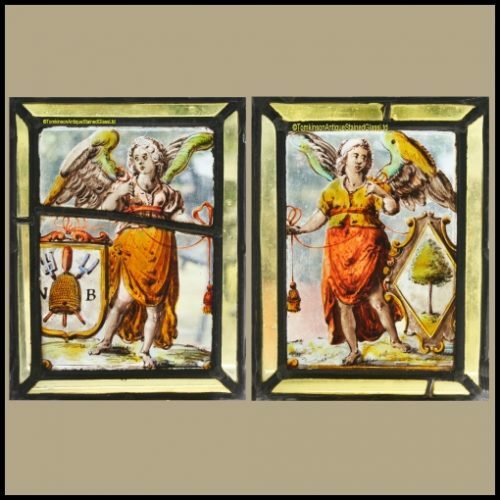 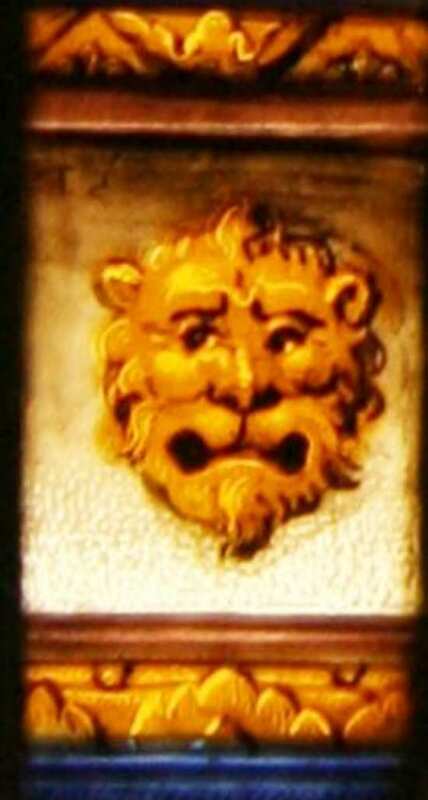 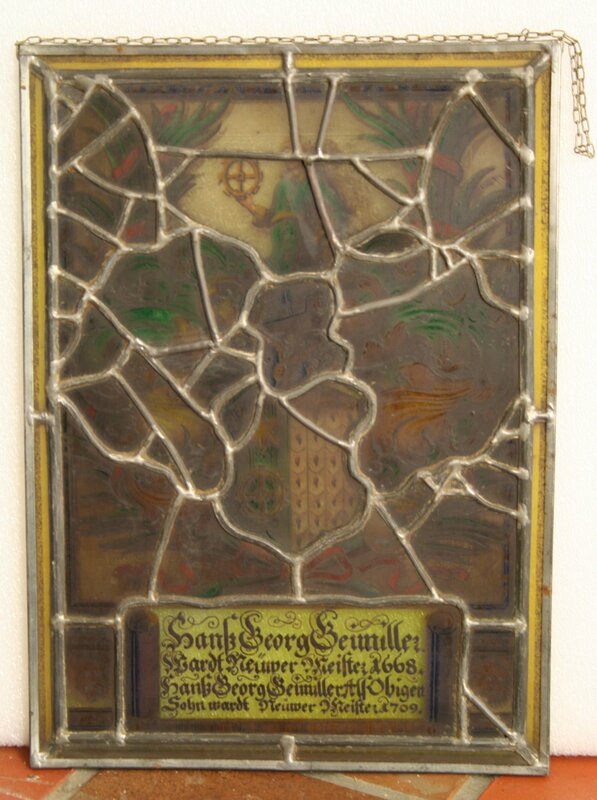 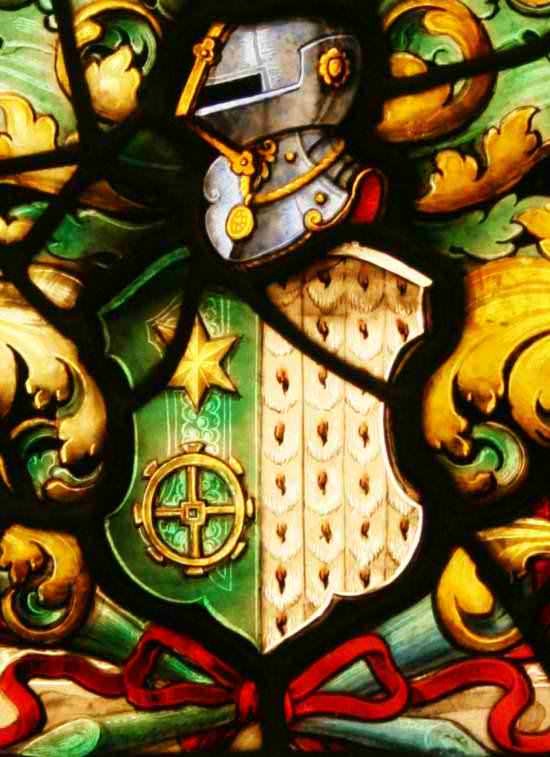 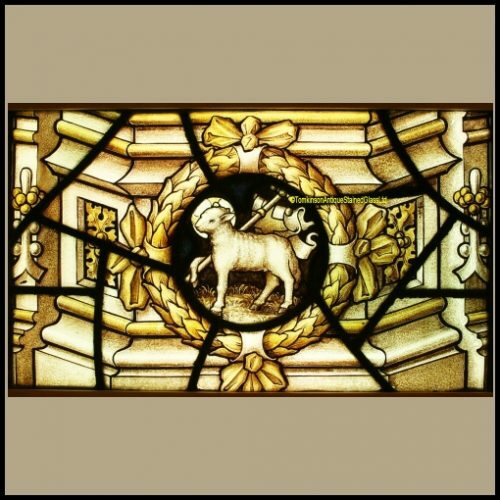 Original 17/18th century Swiss armorial leaded stained glass panel. 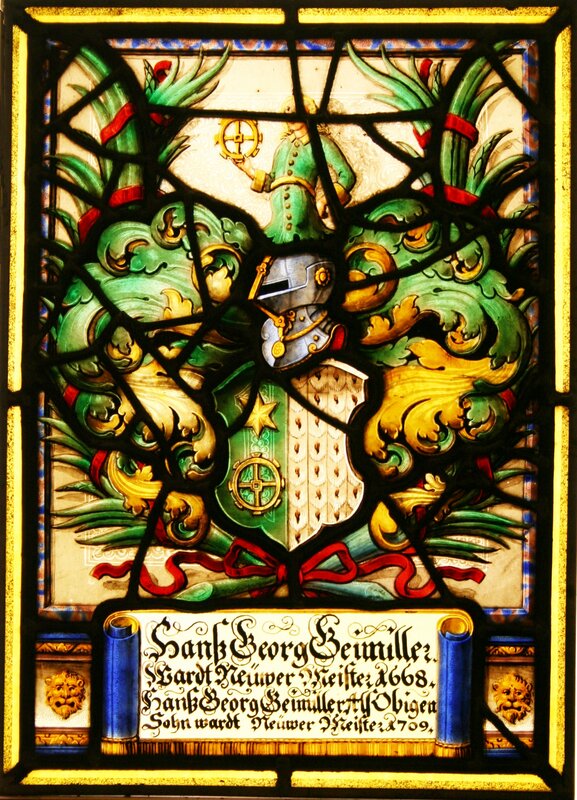 Hand painted with a crested shield and bellowing mantel below is an inscribed banderol. 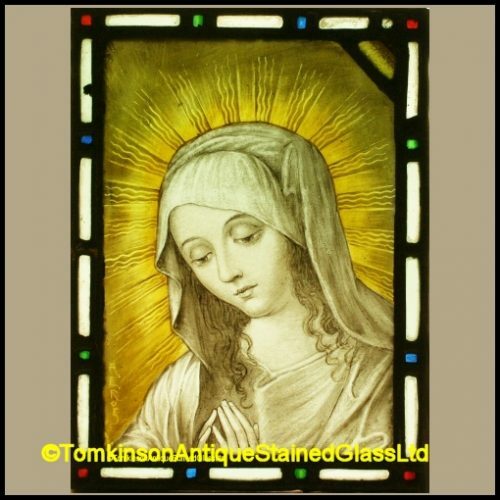 Painted with the use of silver stain and enamel paints, no fading to painting, but with leaded strap restoration which has kept the panel in original condition. 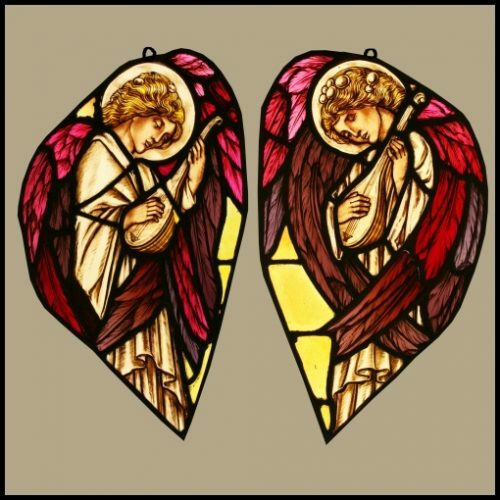 Ideal to suspend from a window.